Have you been suffering with a continued sickness, problems with the mouth, sore throats etc, bankruptcy, loss of wealth, legal problems, car accidents, accidents involving metal and just an overall feeling of bad luck? You may remember in our February newsletter we spoke about the bad 2 & 5 stars that have flown in this year. Many of you purchased our 2002 cures kit and have managed to avoid most of the problems. I am prompted to write this article because Michael has had many consultations this year with people suffering from the above problems, whilst they are relatively easy to locate and cure, there are still many people who cannot afford an on-line or home visit consultation and we do not want them to suffer. Flying star Feng Shui known also as Xuan Kong, is a very powerful form of Feng Shui that all good professional Practitioners use. Although it is called “Flying stars” it is nothing to do with astrology. The flying stars are the Trigrams (Trigrams are the 3 broken or un-broken lines you may have seen on a Ba Gua) from the I-Ching (the I-Ching is one of the oldest books on Feng Shui) and each one is good or bad and have their own element (earth, fire, water, wood and metal), i.e. the five yellow is a bad earth star, which would need six metal Chinese coins to cure it (made that sound really easy didn’t I) the reason you use metal is because metal weakens earth, many Practitioners would use wood as they think because wood destroys earth this would be better. You should always weaken a bad star and not try to destroy it, as this will cause conflict and your troubles would be greater. The reason you use 6 Chinese coins or six metal wind chime is because 6 is the Trigram Ch’ien, which is a metal Trigram, this enhances its controlling effects. Because the 5 yellow is an earth star, if you place fire element in this area you will increase its inauspicious effects, so you need to be very careful not to light too many candles in the south or east unless you have been told to do so in a Flying Star consultation. Believe it or not this is never taught in the majority of books you buy in a shop, this form of Feng Shui is very secretive and little known. Geopathic stress is also linked to poor health and tiredness, for more information on this subject please follow this link. So how do I find these bad 2 & 5 stars? 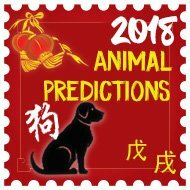 The 5 yellow this year is located in the east of your home this year, this is an annual visiting star and changes every Chinese New Year (beginning of February) we will keep you up to date where it will be next year. The 5 yellow is the worst star, it causes sickness, problems with the mouth, sore throats etc, bankruptcy, legal problems, car accidents, accidents involving metal and just an overall feeling of bad luck. This one is really bad, as the year goes on it gets stronger. The 2 black is residing in the south of your home this year, this is the second worst star and will cause sickness, throat problems, stomach problems, if it is in your bedroom or main doors as the year goes on you will generally feel run down, waking up in the mornings feeling like you need another nights sleep or again it can manifest in the way of legal problems, loss of wealth, bankruptcy or just overall bad luck. Unfortunately every home and office in the world has these two bad stars in the east and south of the property. The best way to locate them is by finding the centre of your property and then using a compass find south and east and then follow the instructions below. So how do you cure these bad stars? I have seen a couple of sites recently that are trying to sell the information and instructions I am giving you here which I think is disgusting, not only have they copied some of our newsletters they have also copied the mistakes that I have made in them, as you know my grammar is not the best, this I do find funny and I think bad karma is due their way soon. Finding the right cure can be a little trial and error; first of all you place a hollow six metal rod wind chime in the east and six Chinese coins tied with red ribbon in the south. In both these areas you should also add some metal ornaments, rounded items are best (a metal rice bowl or even a metal dog bowl is a good cure) or metal Dragon figurines, something that is symbolic. YOU MUST NOT ADD ANY FIRE into this area so do not burn candles or have strong fire colours like red, as fire feeds earth. If you still find that you are getting sore throats or constant sickness you will need to place a little known cure called a “salt water cure” in the east and south or any other area that has a 2 or 5 in it. If you go to our site and look at six Chinese coins in a row and order 2 lots they will do the job. All the coins we sell are coins that come from a good Dynasty and have been cleared of negative energy and empowered with positive energy, this is important to make the cure more effective, as you may know we have been doing this for many years with all our products. In the special instructions box just type in salt water cure and we will send you full instructions, even though they are printed below. If you have your own coins already and you want to make the salt water cure just follow the instructions but make sure if they have red ribbon attached to them be sure to remove it. You will probably find you have the coins and wind chime already there is no need to buy new ones. Just make sure the wind chime have six hollow metal tubes and the coins are made of metal and not imitation as sold on some sites. Visit our site just to look at the type of coins and wind chimes you need. Fill up a glass jar, a jam jar will do with table or rock salt about three quarters to the top. Place six coins on the top of the salt. Make sure the coins are Yang side up; this is the side with the four Chinese characters. Fill to the top with tap water. It would be a good idea to place a mat under the jar to protect furniture or flooring. Place the coins and jar in the east and south or if you have a full flying star consultation anywhere else that you have the 2 & 5. The jar will form crystals over time; this shows that is working to absorb the negative energy. Mare sure the water is always topped up. Try not to touch or move the jar to much as it stores a lot of negative energy. And that’s it, simple isn’t it. 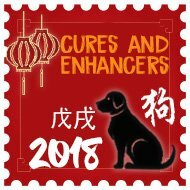 Michael does not normally use this cure straight away, he usually just uses the six Chinese coins or wind chimes on their own combined with metal objects, however, this is because he normally advises on consultations or when he does the on-line consultations and has a clear idea of the accompanying stars. 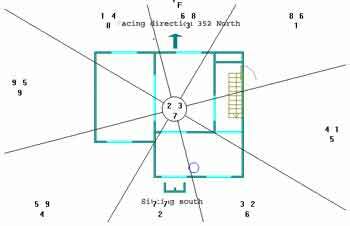 This is because you have 2 other fixed stars in each palace (a palace is a 3×3 grid which is placed over your floor plan) and they may be controlling or making the accompanying stars better or worse, this part is extremely complicated and I leave the technicalities to Michael. Another reason I have this information and instructions available is because a few sites are charging for this information and one has even tried to trademark the cure, so if this company is reading this please ask your solicitor to forward the writ onto us as I am sure a six thousand year old cure cannot be copy written, I hope not anyway or I shall be in big trouble. If you would like to know where the stars are in your home please visit here for more details of our on-line consultations or home visits. 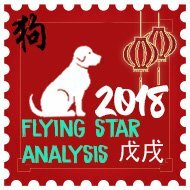 The full on-line consultation is extremely powerful and very in-depth and considering that they normally take around 3 hours to prepare the Flying Star analysis, they are also very good value. ** TIP ** When using water features in or outdoors, make sure the flow of water is pointing in towards your home, if you place the flow of water going away from the home or office this means your wealth is draining away. 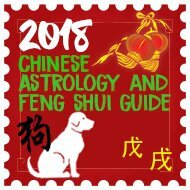 You will find many articles on learning traditional and authentic Feng Shui. They teach you how to use cures and enhancers that nature provides us with, mainly the five elements. As many of you long time subscribers will notice some of the articles are taken from our monthly newsletter. I hope you enjoy them, we will be adding to the resource on a regular basis. If you would like to subscribe to our newsletter click here or if you require further details on a Feng Shui consultation please click here.